AutoCAD 360 web (formerly AutoCAD WS) is the official AutoCAD web app. 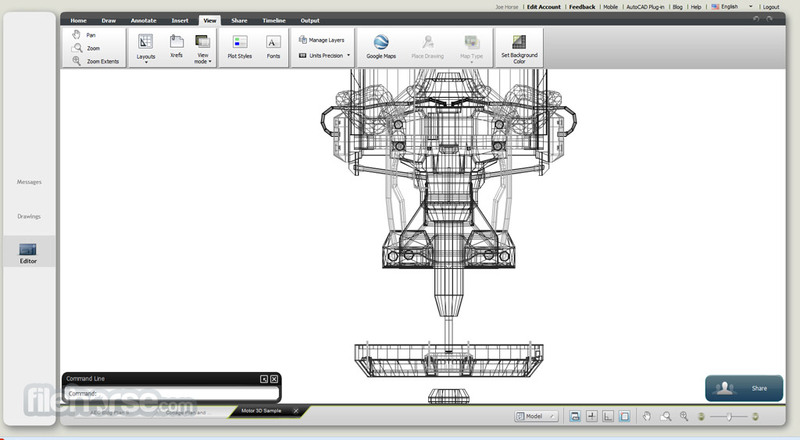 Is a convenient online free service from the developers of Autodesk that enables you instant and easy way to view, edit and share DWG drawings directly from your internet browser on your desktop computer or mobile device. AutoCAD 360 web offers intuitive interface that can store any number of your drawings, which are organized in easily accessible way. With only few clicks you can share designs with your friends and co-workers, enabling you to increase your productivity and collaboration in large scale projects. View and edit DWG files! More than 30 years ago, developers from worldwide-known software house Autodesk started their work on a design program that will change the world and enable millions of people to crate industrial-grade designs directly on the monitors of their home computers, enabling both novices and professionals to draft plans that could be implemented into all modern pipelines of industrial and home production, covering everything from homemade items planning to the detailed designs of complicated equipment that is sent to space in modern spacecraft’s. 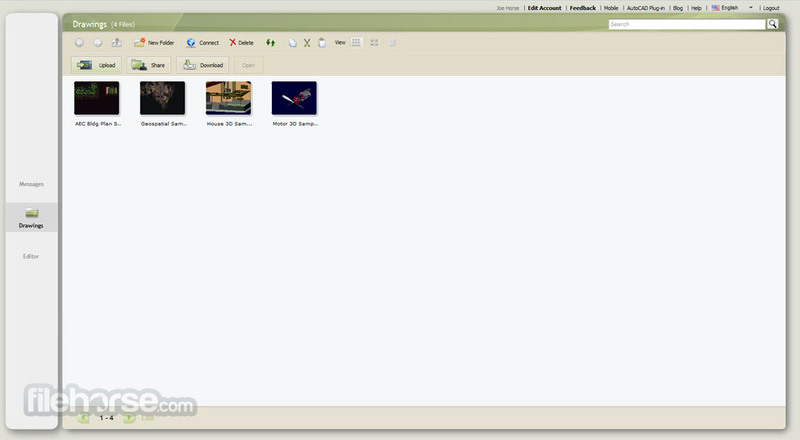 Their AutoCad managed very quickly to become undisputed leader of computer-aided design software, receiving regular updates not only on Windows, but also Mac OS. This expansion of AutoCAD finally arrived on portable devices in 2010 (iOS and Android) and web in 2011, enabling anyone who has computer and an internet device to access one of the most popular designer tools ever made from the tab of their internet browser. AutoCAD 360 (formerly known under the name AutoCAD WS) is a web-powered service for drawing, editing and sharing AutoCAD files that are created directly inside web interface of your browser, or inside applications for iOS and Android portable devices (both smartphones and tablets are supported). Using this app, users of all knowledge levels can access wide array of 2D and 3D drawing tools that can be used in creation of countless designs that are fully compatible with the rest of the software suite AutoCAD, world’s most popular CAD solution that is used everywhere from high schools to design of most complicated equipment we use today. By having all that design power directly on the cloud where it could be accessed from any modern web browser, users from all around the world have a opportunity to not only gain access to their previous work files no matter where they are, but also to design new things on any computer they get their hands on. View and edit DWG files! Using AutoCAD 360 anyone can easily draw and sketch anything fromhouse floor plan, simple diagrams, to any complicated idea you think off. This all is possible because of the fully-featured editor that houses wide array of tools for drawing, editing, annotating, layering, and accessing advanced options for each element of the design you want to create. You can control exact look and feel of every line you draw, making you creations that are made inside AutoCAD 360 fully ready to be shared with your friends, school teachers, colleagues, bosses, business partners and more. 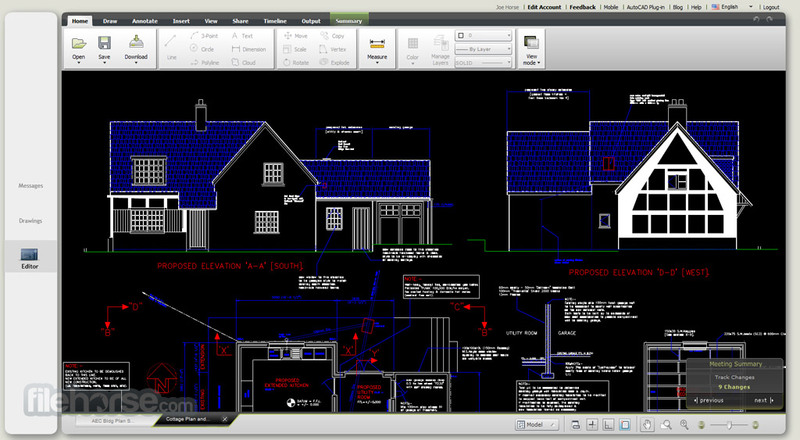 Interface of AutoCAD 360 retains much of the usability from the full standalone client version of this great editor. Web version of this app has a wide array of tolls that will be instantlyrecognizable to anyone who has ever used AutoCAD before. Simple layout and instant access to the most commonly used drawing tools is also very important for novices, who can use this app to learn their first steps in AutoCAD design. Main dashboard of the AutoCAD 360 also features easily accessible tools for saving, document management, and sharing of your works. As of early 2014, AutoCAD 360 for the web is still in its beta stage, allowing users free access to all available tools and services. Users are required to create new account. By extending the tools of popular AutoCAD to the web, developers from Autodesk have enabled their entire community to create, edit and share their designs no matter where they are. If you are serious about becoming well versed in industrial design you simply have to master AutoCAD, and using AutoCAD 360 is perfect way to do so. 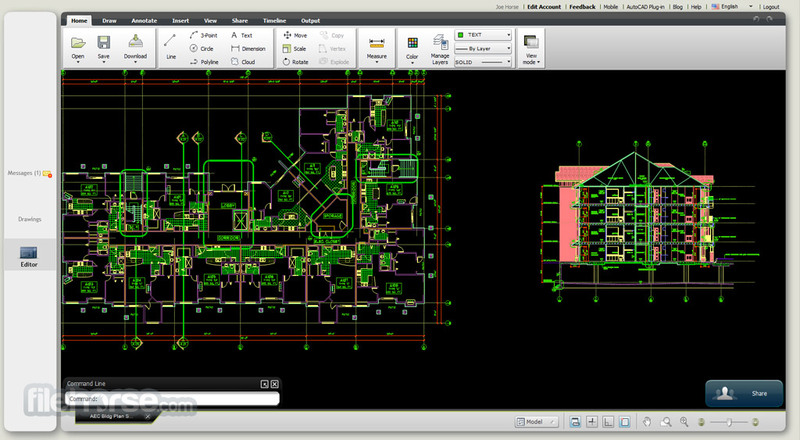 Easily view, create, edit, and share AutoCAD drawings from your web browser. Instantly accessible from any web-connected computer—no complicated software installation or maintenance required. 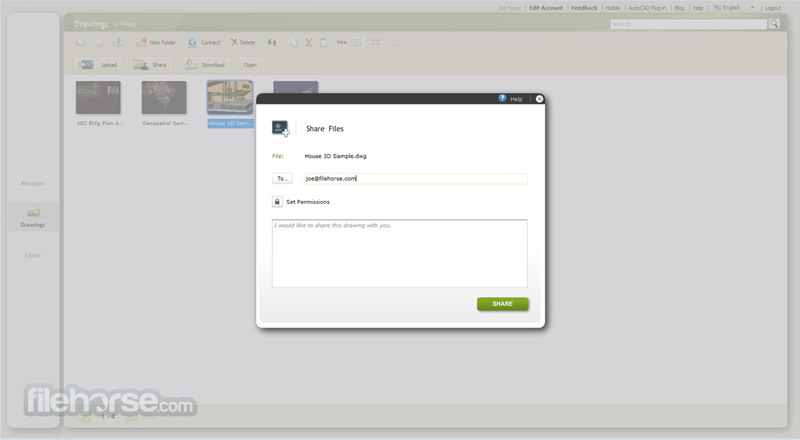 Collaborate on drawings with other AutoCAD 360 users in real time with integrated sharing tools. View and edit DWG files! Access your drawings anytime, anywhere with built-in, secure cloud storage. Powerful markup tools help simplify drawing review and approval. Companion AutoCAD 360 mobile app allows easy access to your drawings on smartphones and tablets.